Toastmasters International announced today that world-renowned world-renowned author and entrepreneur Keith Ferrazzi is the recipient of the organization’s 2018 Golden Gavel award. The award, presented annually to an individual who exemplifies excellence in the fields of communication and leadership, will be presented to Ferrazzi during the Toastmasters International Convention, Friday August 24, 2018, in Chicago. As chairman and founder of Ferrazzi Greenlight, a research institute focusing on behavioral science and its effects on business, Ferrazzi works to determine how companies can eliminate behaviors that hinder progress and instead adopt those that foster growth. 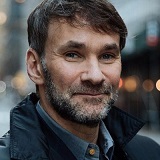 His research on relationships, along with decades of experience as an entrepreneur and chief marketing officer for multinational corporations, helped him develop his influential leadership techniques for “leading without authority.” Ferrazzi says commitment between people is the foundation for candor and accountability that is critical for innovation and agility in today’s transformational business world. 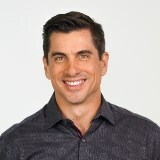 As the author of the NY Times #1 bestseller Who’s Got Your Back and Never Eat Alone, a regular contributor to publications such as Harvard Business Review, Fortune Magazine, The Wall Street Journal, a much sought-after expert guest of television, podcasts and radio, Ferrazzi has established himself as the premier thought leader for unlocking powerful networks for productivity and growth — both professional and personal. Ferrazzi joins an illustrious list of Golden Gavel honorees, including Walter Cronkite, Stephen Covey, Anthony Robbins, Muhammad Yunus and Zig Ziglar. Click here to learn more about the 2018 International Convention, Aug. 22 – 25. The public is invited to attend. The good folks at men’s outfitters Tommy John (“A man’s under layers shouldn’t be stuck in the past. Or anywhere else.”) have, rather surprisingly, produced a great infographic on how to remain calm under pressure — such as might afflict any chap called on to speak in public. Since they claim that their underwear “won’t crumble his cookies” and the models who wear Tommy John’s look extremely relaxed you can be sure the techniques suggested in the infographic work wonderfully. Moreover, any company named after a man’s John Thomas deserves the respect of wordsmiths everywhere! Click on the image below to see the full-sized infographic. An excellent resource for anyone curious to learn more about the business of professional speaking (and presentation tips in general) is the archive of SPEAKER magazine, published each month by the National Speakers Association. You can scroll through back issues back to 2007 (including my own Relevant Resources columns from 2012).